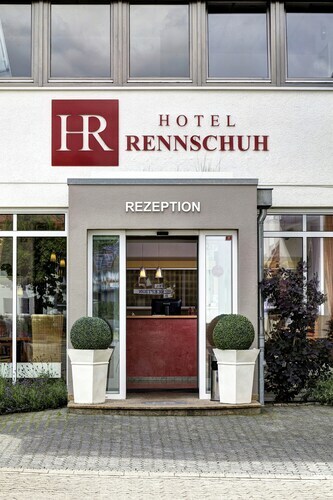 Situated in Goettingen, this hotel is 1.9 mi (3.1 km) from St John's Church and 2 mi (3.2 km) from Ganseliesel. Georg-August University of Goettingen and Hainberg Observatorium are also within 6 mi (10 km). 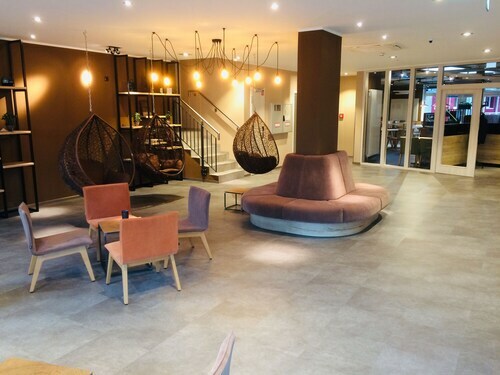 Located in Suedstadt, this hotel is within a 15-minute walk of Ganseliesel and St John's Church. Hainberg Observatorium and Georg-August University of Goettingen are also within 3 mi (5 km). Göttingen Station is 22 minutes by foot. Situated in Goettingen, this hotel is 2 mi (3.1 km) from St John's Church and 2 mi (3.3 km) from Ganseliesel. Georg-August University of Goettingen and Hainberg Observatorium are also within 9 mi (15 km). 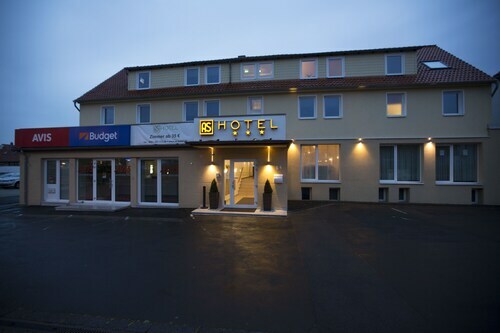 Situated in Goettingen, this hotel is 1.8 mi (2.9 km) from St John's Church and 1.9 mi (3 km) from Ganseliesel. Georg-August University of Goettingen and Hainberg Observatorium are also within 6 mi (10 km). While the flight attendants prepare the plane for landing in Goettingen, you can't help but be distracted by the beautiful bird's-eye views of Weserbergland. You probably won't even notice the wheels hitting the ground at Goettingen Train Station Airport (ZEU). After you've grabbed your suitcase, that last thing you'll want to do is sit through another long journey to a hotel. Luckily, there are 2 accommodation options a short walk from your terminal. 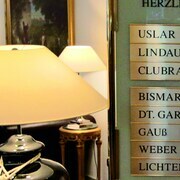 The Romantik Hotel Gebhards offers the amenities you need and expect, among them 24-hour concierge. 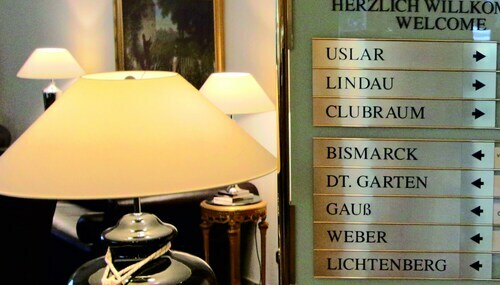 If you'd prefer something else, take a look at the IntercityHotel Göttingen. You will find some accommodation choices in Nordstadt, which is a short drive from the airport. Here, you can doze off into slumberland at the Eden Hotel or the Best Western Hotel Am Papenberg. If you're planning to explore the city, hopping on a train is a handy option. They leave regularly from Göttingen, Göttingen station (train), 0.1 miles (0.2 kilometers) away. You don't have to linger at the airport if you have to wait more than a few hours for your flight. You’ll find a range of attractions just minutes away. For a deeper insight into the character of the area, take part in a visitors' tour of the campus and buildings of Georg-August University of Goettingen. Being that it's just 0.5 miles (0.8 kilometers) away, It may be your best choice. However, there are more options available. You don't have to be a history buff to appreciate the appeal of Ganseliesel. Just imagine the crystal clear waters that were long displayed and admired in this very spot. It's just 0.5 miles (0.8 kilometers) away. Ready and raring to go on your next big adventure? Organize your Goettingen Train Station Airport accommodation today and you'll have one less thing to stress over when you arrive.